Employees at UK bank Barclays and Barclaycard’s London office have begun piloting a new payment concept that allows them to buy low-value goods in the staff restaurant by scanning the barcode on the items using their smartphone and completing the purchase “with a single click” without needing to visit the physical checkout. “Users download the Grab+Go app, create an account and pre-load their payment details and then use their smartphone camera to scan the barcode on items as they go,” Barclaycard says. “When finished, they click ‘I’m done’ and walk out — payment is taken seamlessly and invisibly in the background and the receipt is stored in the app. “The merchant holds a tablet PC that shows, in real-time, the transactions being made by each Grab+Go user, the items they have scanned and confirms when payment has been made,” Barclaycard told NFC World. The concept will soon be extended for trials in Northampton, Teesside and Wilmington in the US “ahead of a planned public rollout”, Barclaycard adds. 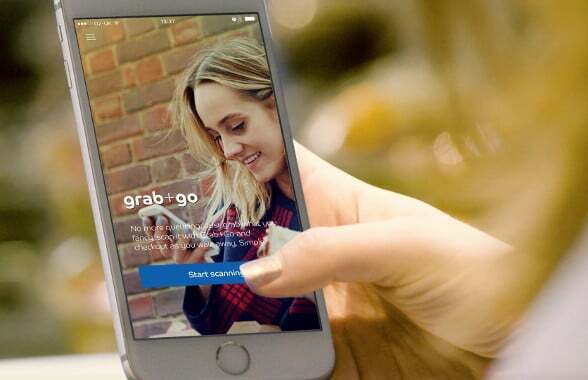 “Using the latest technology, we’ve developed Grab+Go to streamline the shopping experience by removing the need to physically check out every time you want to buy something,” says Usman Sheikh, director of design and experimentation at Barclaycard.